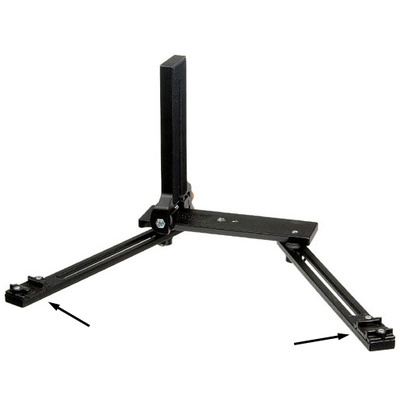 Product #1773 | SKU 330B | 0.0 (no ratings yet) Thanks for your rating! The Manfrotto 330B Macro Flash Bracket weighs only 0.35kg, has a load capacity of 1.0kg and allows for a camera and two shoe-mount flash units to be used simultaneously on a tripod head. Goes on either 3/8" or 1/4" tripod screws and can accommodate the camera in the vertical or horizontal position. Attachments: 3/8' and 1/4' female threads and 1/4' camera fixing screw.